Looking for something fun to do when you return from the Holiday Break? This New Year’s Math Scavenger Hunt is a great way to practice engage students while practicing math skills! Math Scavenger Hunts are perfect for guided math, whole class, centers or small groups! They are a great way to have students moving while working with a partner on Math. And they are so easy for the teacher to prep! Simply print the problems, hang them around the room or another area. Print record sheets for your students and you are all set! You can hang the problems on the walls in your classroom or hallway. You can hide the problems on bookshelves or even have a scavenger hunt on the playground if weather permits! Just give students a clipboard to use while they work on their record sheets! Click any image in this post to get the Scavenger Hunt! 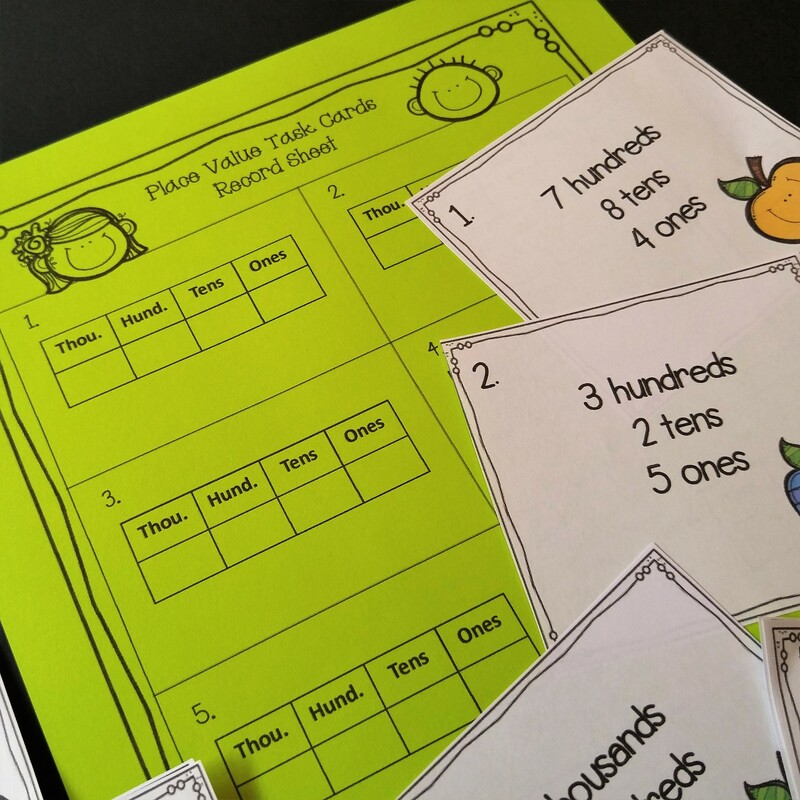 Are you looking for some great place value activities for your classroom! Let me share 5 of my favorites today! 1. Place Value using Task Cards: These task cards are perfect for reading 3 and 4 digit numbers! 2. Comparing using Task Cards: Use the task cards for a fun comparing game! 3. Ice Cream Matching Cards: Use these cards to match expanded form, standard form, word form and expanded notation. 4. Place Value Spinner Game: I love these cute spinners! Fun way to review place value! 5. Matching Game: Use these cards to practice place value! 6. Notes, Practice Pages and Problem Solving. Cute Graphics, notes and 24 pages of practice!